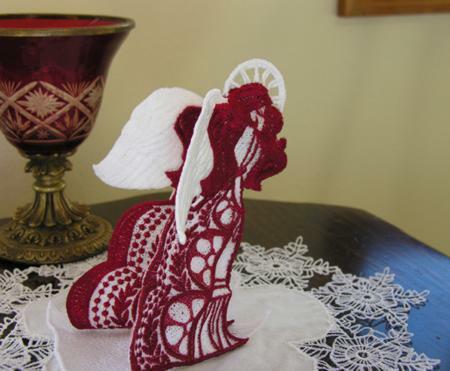 This participant sent in pictures of her FSL Christmas Angel and doily. She writes: "Both designs were embroidered on Husqvarna Designer 1. The 3D Angel was embroidered with Sulky rayon 40 wt. 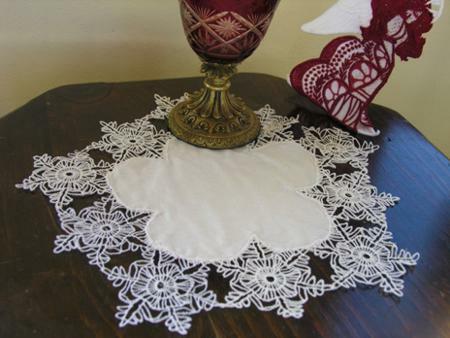 The doily pattern was from the Snowflakes collection. I made a 5 sided doily mimicking the 5 sided snowflake. It was embroidered with 100 Mercerized cotton thread 50 wt. 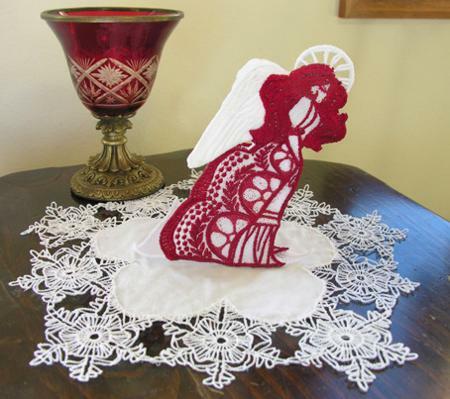 This angel & doily would make a great present for your loved ones."